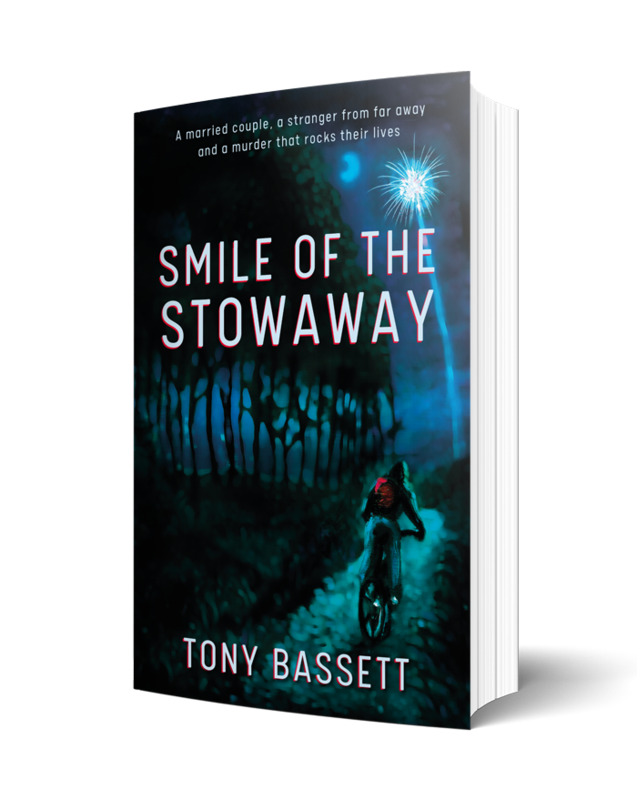 Smile Of The Stowaway is a novel telling the story of Yusuf, a man who emerges from beneath a couple’s motor home when they return to Kent from France. Teacher Bob Shaw and his wife Anne, a librarian, consider handing him to the authorities, but, despite tensions emerging in the couple’s relationship, they decide to let the friendly Eritrean move in and find him work at a farm. When a man is found brutally murdered, suspicion falls upon Yusuf, who has become the farm messenger boy, and he is arrested. Anne battles against a mountain of circumstantial evidence and police bungling to try to find the real killer as she becomes convinced that Yusuf is innocent. Since becoming semi-retired in 2015, I have written four novels and there is a fifth on the way. Three are crime novels set in the Midlands. Front cover illustration used for Smile Of The Stowaway. Original is an oil-on-panel painting by artist Ross Marklew from Pontypridd, South Wales.